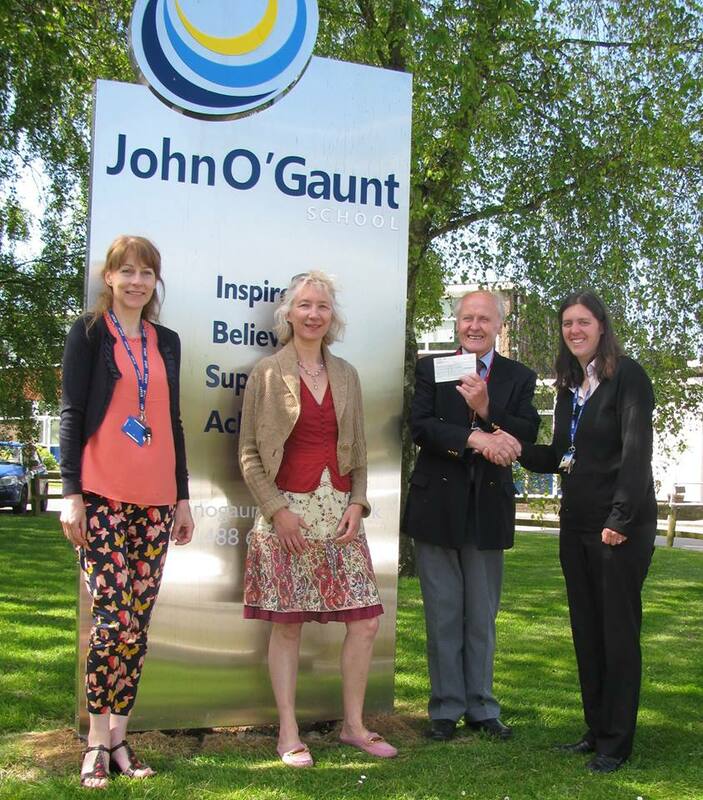 Hungerford Freemasons are delighted to have presented a cheque for £500 to the John O’Gaunt School Library Appeal this week. Gilbert Mills, Chairman of the Hungerford Freemasons Lodge Benevolent Association, presented a cheque to Assistant Head Teacher Mrs Bunston, PSA Chair Penny Locke and Librarian Mrs Lamb. Hungerford Freemasons have taken a keen interest in the local community since the Lodge formed 90 years ago and we were delighted to have been approached to help with the John O’Gaunt School Library project. The Hungerford Lodge Benevolent Association is a registered charity that has in the last five years distributed over £25,000 of funds raised solely from the members of the Lodge and other Berkshire freemasons. The new Learning Resource Centre (LRC) will be an open plan space, set out with distinct zones and touch pad technology. As well as appropriate, varied and inspiring books, there will be a teaching space with interactive whiteboard, iPod stations for listening to audio books, reading ‘nook’ to read comfortably (my own children like to read lying down or even upside down!) and gallery space in which to celebrate student work. There will be a careers area to show our children what they never dreamed they might be, a graphic novel section for those who like a little ‘Pow!’ in their narrative and a variety of reading seats about the space for those who like to just ‘be’. The LRC will be modern in design, whilst approachable and inspiring in outlook. It will also be a space for our community; book groups for different age groups, storytelling afternoons for toddlers, author visits and book signings in conjunction with our local book shop and town library and the setting for our ‘Silver Surfers’ ICT course. Reading should be as much at the heart of the Hungerford Community as it is at our school.